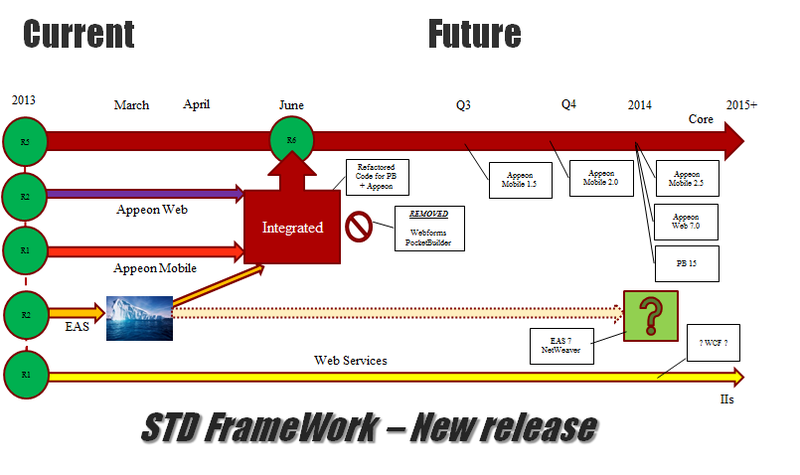 STD Web Service Framework - Version 2.3 Released! PB Classic Web Service Framework - v2.3.0.32! Software Tool & Die Inc are please to announce a new release of their Web Service STD Foundation Classes for IIs (STD FC IIs) - Version 2.3.0.32 (Service Pack#3). 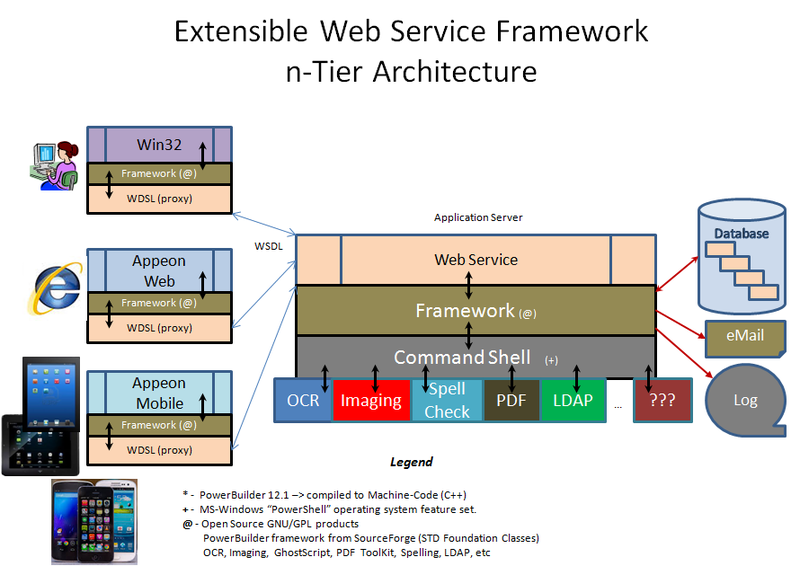 The updated v2.3 Web Service IIs framework is solely targeted to helping PowerBuilder Classic developers, to develop .Net based Web Services and deploy these to IIs. The IIs based framework takes advantage of RAD techniques, employes an MVC (Model, View, Controller) architecture for superior performance, flexibility and extendability! Added a new Class (ns_ado_rs_master) - (base') Ancestor for all "ADO Result Set" objects. Added a new Class (ns_context_information_master) - (Base') Ancestor for all "Context Information" objects. Added a new Class (ns_context_keyword_master) - (Base') Ancestor for all "Context Keyword" objects. Added a new Class (ns_corbaunion_master) - (base') Ancestor for all "CORBA Union" objects. Added a new Class (ns_errorlogging_master) - (Base') Ancestor for all Error Logging objects. Added a new Class (ns_exception_master) - (Base') Ancestor for all EXCEPTION handling objects. Added a new Class (ns_jagorb_master) - (base') Ancestor for all "Jaguar ORB" objects. Added a new Class (ns_mlsync_master) - (base') Ancestor for all "Mobi-Link Synchronization" objects. Added a new Class (ns_olestorage_master) - (base') Ancestor for all "OLE Storage" objects. Added a new Class (ns_olestream_master) - (base') Ancestor for all "OLE Stream" objects. Added a new Class (ns_olexnobject_master) - (base') Ancestor for all "OLE Extension Object" objects. Added a new Class (ns_pipeline_master) - (base') Ancestor for all "PipeLine" objects. Added a new Class (ns_profiling_master) - (base') Ancestor for all "Profiling" objects. Added a new Class (ns_runtime_error_master) - (Base') Ancestor for all Run-time objects. Added a new Class (ns_service_master) - (Base') Ancestor for all "Service" objects. Added a new Class (ns_ssl_callback_master) - (base') Ancestor for all "SSL Call Back" objects. Added a new Class (ns_ssl_service_provider_master) - (base') Ancestor for all "SSL Service Provider" objects. Added a new Class (ns_throwable_master) - (Base') Ancestor for all "Throwable" objects. Added a new Class (ns_trace_file_master) - (base') Ancestor for all "Trace File" objects. Added a new Class (ns_trace_tree_master) - (base') Ancestor for all "Trace Tree" objects. Added a new Class (ns_trans_server_master) - (base') Ancestor for all "Transaction Server" objects. Added a new Class (ns_ulsync_master) - (base') Ancestor for all "Ultra-Light Synchronization" objects. logic between the "Interface" and "Controller" utilizing the new ns_exception_master class. Integrated Foundation Classes ( Service Pack #5) Released! Software Tool & Die Inc (STD) is very pleased to announce that they have just released an updated version (5.5.0.22) of their Integrated Foundation Class library for PowerBuilder "Classic", Appeon Web and Appeon Mobile! Framework was system tested with: PowerBuilder Classic 12.1, 12.5.1 and 12.6; Appeon 2013R2 and 2015; iOS 8.1 and Android 5.0.1 (both Smart Phone & Tablet); IE10/11; FireFox 32.03; Safari 5.1.7; Opera 26.0; Chrome 39.0.2171.95. Fixed an issue with detecting O/S bitness properly. Fixed an issue with detecting Application bitness when compiled as a 64 EXE (PB 12.6 Classic only). Added new method "of_get_os_bitness" that returns the O/S bitness. Note: See Appeon Web bitness below. Added new method "of_get_os_temp_path" that returns the current TEMP work area O/S setting. Added new method "of_get_appl_bitness" that returns the current EXE's compiled bitness (32 or 64). When the frame detects your application running as an Appeon Web application, it sets the Application & O/S bitness settings to the Web Brower's bitness. Added new Window base Class "wn_validate_master" to handle Active Directory Login processing. This includes the French, Spanish and English abstract classes as well. Added AJAX image to the "wn_logon_master" Window base class to display/animate when waiting for the DBMS. At the next PowerBuilderTV Webinar, Dirk Boessmann, Senior Vice President of Mobile Development at SAP and currently the head of PowerBuilder speak at the next PBTV Webcast about the ongoing process to build a sustainable operation basis for PB. We invite those wanting to encourage SAP to take action, to register for the webcast and show their support for PowerBuilder.